Technically, the word “herb,” in its narrowest sense, refers only to seed-producing plants that do not produce persistent woody tissue and die down at the end of the growing season. For our purposes, however, we will claim a much more liberal definition, using the term to refer to any plant or plant part valued for medicinal, Magickal (the term, “Magick,” is given the archaic spelling, with the “k” at the end, to distinguish real Magick, which works actual change on people and their surroundings, from sleight-of-hand, stage magic or parlor magic), savory or aromatic purposes. Since the dawn of time, our ancestors have used plants for more than just food. In fact, some of the earliest known gravesites showed that our most distant human ancestors frequently buried herbs with the dead. Picture our primitive ancestors, eating for survival. They probably experimented with anything that didn’t eat them first. Plants were certainly easier to catch than fleet-footed animals, so it would have been logical for them to try some of everything. They would have quickly discovered not only that some tasted better than others, but also that some had other effects than merely filling the bellies. First, they must have noticed that various plant materials, whether taken internally or used for other purposes, such as clothing, etc., had a variety of effects. Some were tasty and/or nourishing, while others were toxic. Some had psychotropic or hallucinogenic properties, and still others seemed to have special powers that were, quite literally, Magickal. It is probable that our ancestors learned many of these things even before the discovery of fire. Once they discovered fire, using a variety of plants to feed the flames, they would have noticed that the smoke had still more and different properties than the plants when ingested. Historically, most of the knowledge acquired about herbs came from the simplest kind of research imaginable: trial and error. Our ancestors ate, drank, burned and otherwise used plants for a variety of reasons. Some worked while others did not. Over the millennia, a vast repertoire of folk wisdom about plants has emerged. 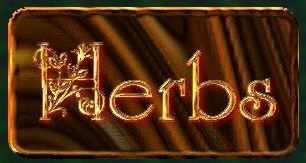 Ancient Sumerian, Babylonian, Chaldean, and Egyptian civilizations carried Herbalism to a high level, but it is probable that no human cultures raised the level of herbal medicine to the levels attained by those of China, India or the Druids of Ancient Britain. And the Druids had no equals in the use of herbs for Magick. The vast majority of today’s medicine is rooted quite literally in the fertile soil of Magick and has been derived from plants used for centuries by indigenous peoples in all parts of the world. It is especially ironic that at this time, when serious researchers are investigating legends and folk remedies in a rush to find new medicines, the rate of extinction for plant and animal species has reached a level never seen before. The last members of a species of plants from which the cures for cancer, Multiple Sclerosis, AIDS, or any of a variety of life-threatening or life-limiting illnesses might have been derived could be lost in to burning or clear cutting in the Rainforest, or buried under the blades of a tractor to make way for another parking lot.